Summer fun is in full swing here friends and we are trying to enjoy as much of it as possible. We finally moved and are up to our neck in boxes so I’m sharing with you one of our favorite crafts that we put together last summer (but never made it to the blog in full form until now). If you want to cool off indoors and entertain your littles (and yourself?) 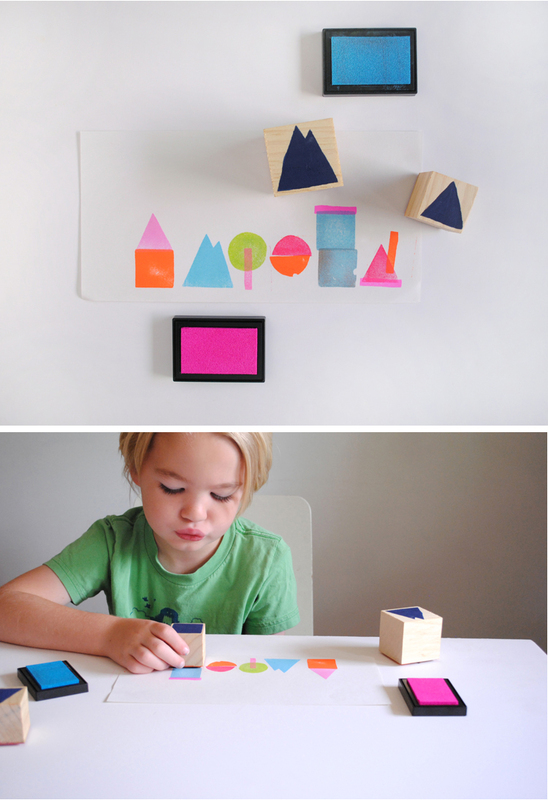 for hours, then this simple set of geometric stamps is just the thing. 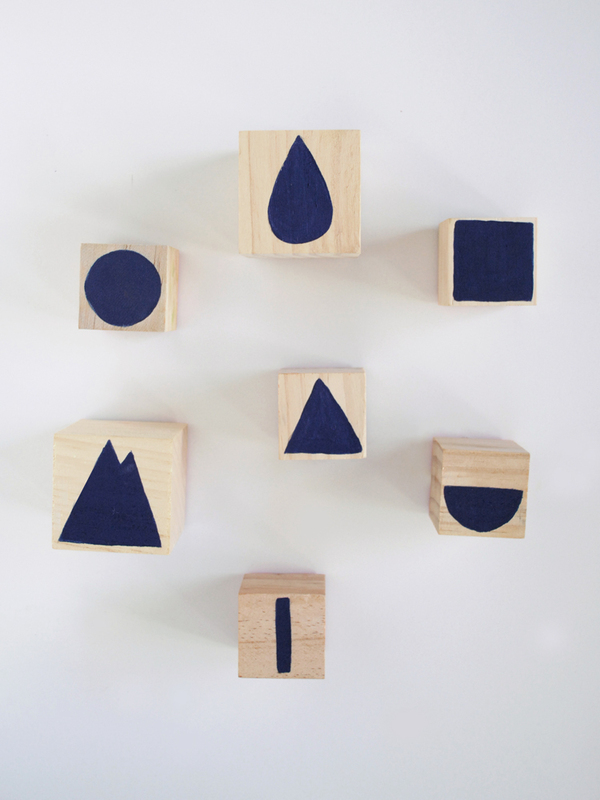 To make the stamps, start by creating several basic geometric shapes (add a few unexpected shapes such as this rain drop or a mountain for some extra fun). Trace the shapes onto craft foam. Once you have traced all of your shapes onto the craft foam, cut them out. Now using a variety of wooden blocks (found at your local craft store), trace the shape of the foam to the top of the stamp. Paint in the shape using a solid color. This will enable you to know which stamp you are using from the back side. Hot glue the corresponding foam shape to the opposite side of the block. Let it cool. 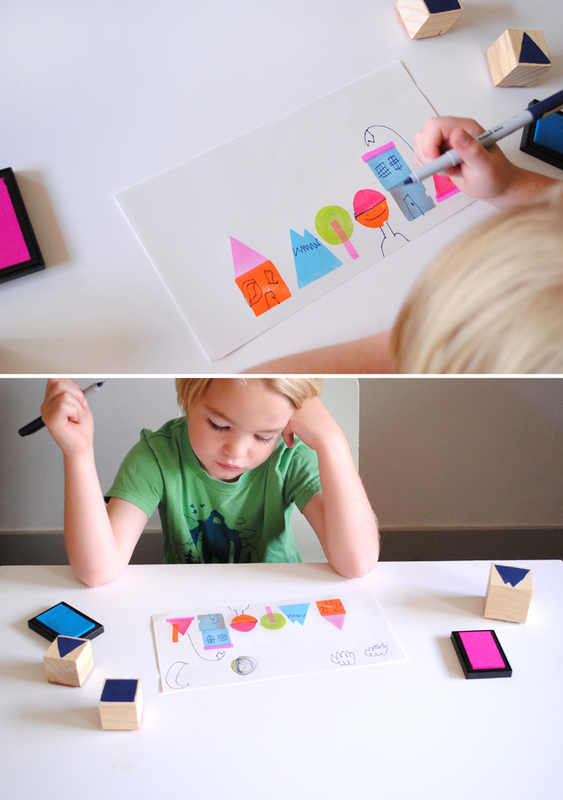 Pull out a set of colorful ink pads and you are ready to start making magic out of your new set of geometric stamps! Now for the fun part! The creative options for these stamps are truly endless. AJ had a lot of fun stamping the different shapes and then drawing on details with a fine tip sharpie marker. And I couldn’t help but get in on all the fun. You can truly make just about anything from basic geometric shapes (a great beginning art concept for you kids as well). 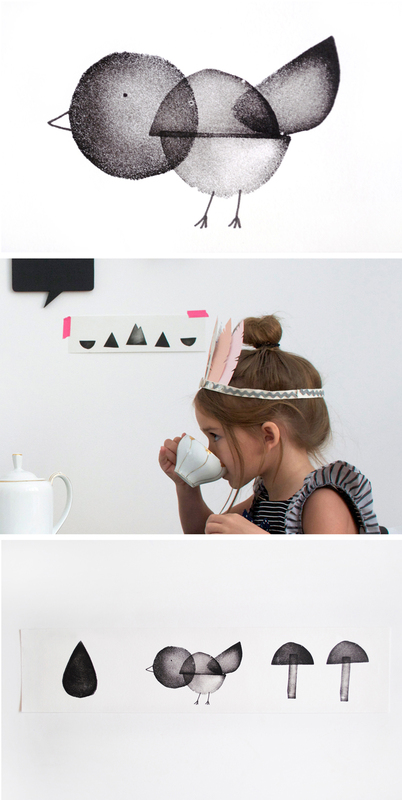 A bird on a car…a couple of kiddos…and silly man with a tall hat….the options are endless. AJ really got into making fun little scenes with trees, mountains, buildings and cars. I’m crazy about them. And the silly guys/aliens he came up with are just too perfect. 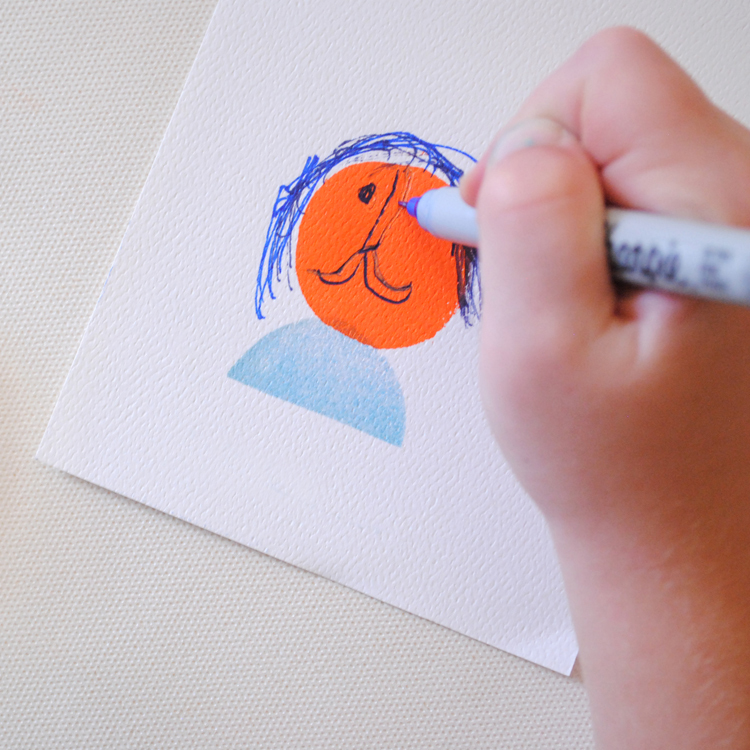 This is really the perfect art starter, especially if you have a child like AJ who enjoys a bit of guidance before plunging into an art project. And you know that as much as I love color, the absence of it can be just as perfect. Don’t be afraid to limit your palette to just one color, such as black. I’m crazy over the moon about this little bird. And now that we’re are trying to settle into our new space, I just might have to find these again to keep little hands, and imaginations, busy busy busy. Brilliant! Love the illustrations made from the stamps. You have such a way of taking a simple craft to the next level. LOVE to the infinite power. Your brilliance and creativity never ceases to amaze. Oh, this looks like so much fun. What a great idea! brilliant. I want to do this fun project! reminds me of this book I loved as a kid. 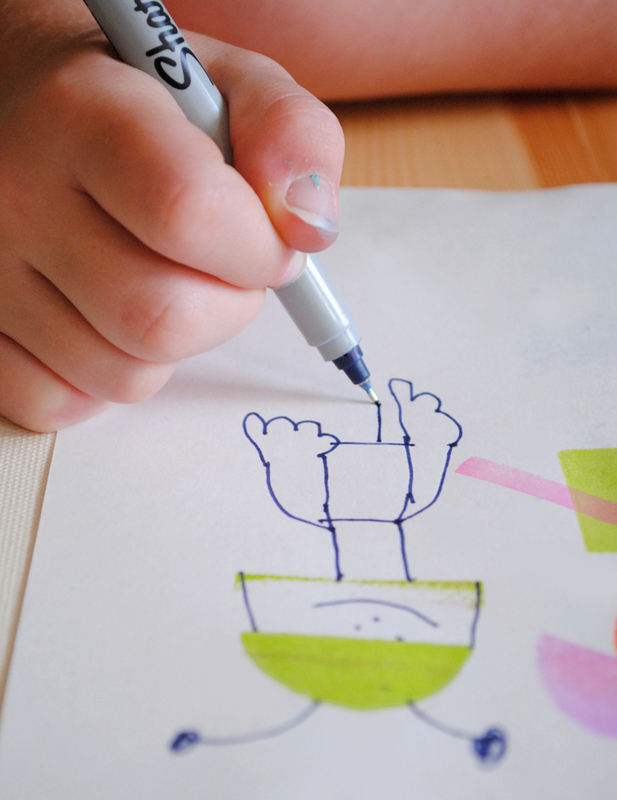 You used your thumbprint (s) and a pen to create animals and flowers. Hours of enjoyment for me! What fun! 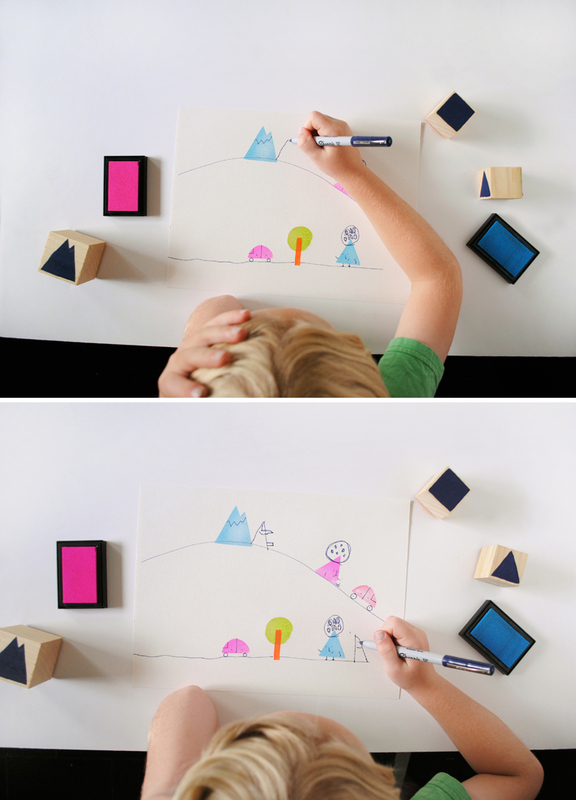 I especially love how you made things and scenes with the shapes and pens. Great idea! Just found your website and love it! I’ll be back again and agin! 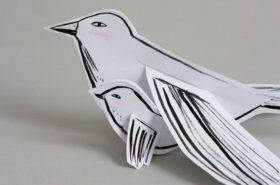 And this arty craft is fab! Love it! I am new to your site, (after you gave me one of your cute business cards) and I LOVE IT!!! Thanks so much for all of the inspiration! So innovative and fun! I love your ideas here. All of them! Keep up the great blog. great idea. can you use same stamp with different colors or it will ruin the pads? just wipe the stamp off with a damp paper towel before re-stamping with a different color and you should be good. Wondering what ink pads you use…the colors are wonderful! I got them at a school supply store and last time i checked they no longer carried them. wish I could remember the brand! i like yours ideas. I’m from Spain. Do you think this would work with fabric paint for some fashionable baby leggings?